We sip our bourbon neat, our coffee black, and we love them both. 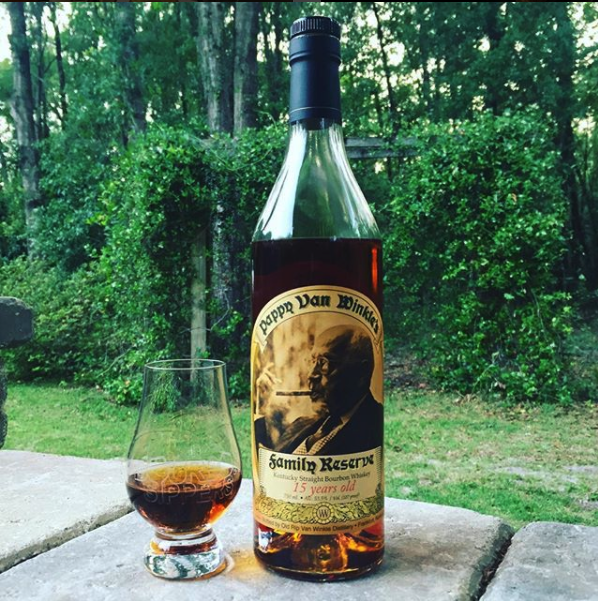 From the first sip, we knew Oak and Bond was the best bourbon barrel aged coffee we ever had. But, just to make sure we weren’t out of our league, we called in backup to get a coffee aficionado’s perspective. A close friend and fellow Bourbon Sipper who helped us with our WhistlePig private barrel selection (coming soon) happens to know his way around the “bean juice” as we like to call it. In my honest opinion, bourbon barrel aged coffee is not typically done very well. As soon as it is ground, the pungency can often be detected from a block away. When brewed, the sour mash funk can distract from desert-like qualities and emphasize bitterness and astringency. When producing coffees of the highest quality, craft roasters typically aim to strike a delicate flavor balance, having just enough of everything. I like to think of a fine coffee like chamber orchestra, having all of the instruments represented, but with only one or two on a part. When I think about my favorite bourbon experiences, I recall an immersive and rich experience. In this way, I think of a quality bourbon a little bit like the philharmonic, in which all parts are represented in multitude, and one is bathed in the magnitude of the music. Trying to deliver both orchestral experiences at once, while giving equal respect to both styles, can be an impossible task. 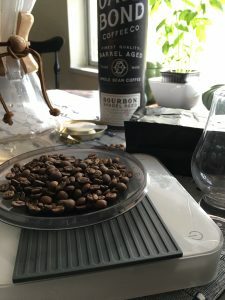 In the case of Oak & Bond’s bourbon barrel aged Brazilian coffee, they have successfully married the uniquely wonderful aspects of each beverage, without compromise. This ought to be celebrated, as many coffee roasters find it difficult to strike the proper balance between bourbon and coffee. Oak & Bond started off right by choosing a pulped-natural processed coffee from Brazil. This process allows some of the coffee cherry to dry on to the pre-roasted bean, which yields a greater potential for a rich mouthfeel, and easy interplay between fruity and chocolate aromatics. Brazilian coffees are often cherished for their desert-like qualities, and mellow acidity. If I were to choose a coffee that would age well in bourbon barrels, it would be a pulped-natural Brazilian coffee. 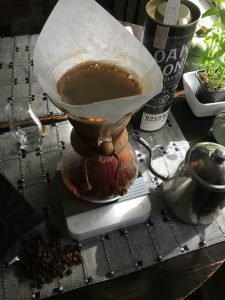 I decided to brew this coffee in a chemex, with paper filters. 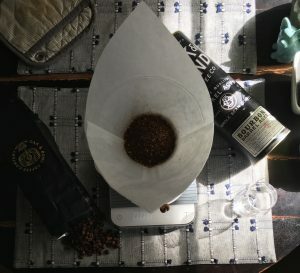 It was my intention to yield the most structured and transparent cup for critical tasting, however, I believe a similar profile will be derived from alternative brewing methods. I also ground the coffee with a baratza encore on #22, and brewed at a 1:15 coffee to water ratio. Overall, this coffee is pretty tasty. I believe that Oak and Bond made the right decision to allow their booze play with their coffee, not dominate it. 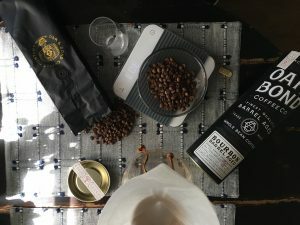 If you are looking for a fun and unique coffee experience, and are searching for new ways to assert your bourbon sipper lifestyle into the everyday, this bourbon barrel aged coffee is a great pick.